The Night Splint is an AFO (Ankle Foot Orthosis, also known as brace) intended for stretching a shortened calf muscle. The night splint is available in two versions: a Dynamic and Static Night Splint. On this page you will find more details about our Dynamic Night Splint. If you are more interested in the Static Night splint, click here. 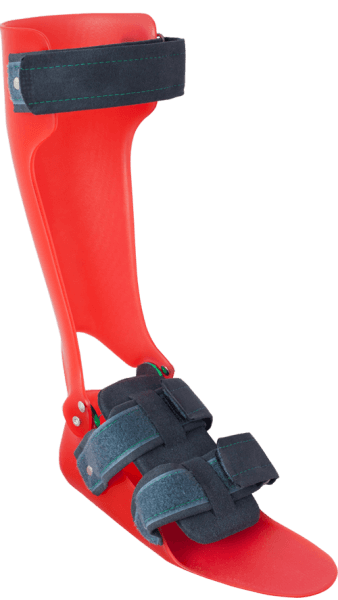 With the Swift Dynamic Night splint, a slim and adjustable orthosis, shortening of the achilles tendon / calf muscle can be prevented or treated. Shortening of the calf muscle is very common for people who suffer from spasm in the calf. Because the muscle is held in short position by the spasm for a longer period of time (where the ankle is brought in Plantar flexion, with other words: the foot is pulled in equinus position. ), shorten it in the long run. The ankle can then no longer be brought completely into dorsal flexion (foot up). The dynamic night splint exerts continuous pressure on the foot through the elasticated elastic on both sides and brings the foot into dorsal reflective posture (toes pointing upwards). Because of this dynamic construction, your ankle foot can just move while sleeping, but the springs bring the feet back in rest in the back in maximum position, so that the stress on achilles tendon / calf muscle can work again. That ultimately leads to the best result. Strap in nice anthracite color. Edges nicely curled and perfectly finished. Possibility to add upholstery at the inside of the AFO. 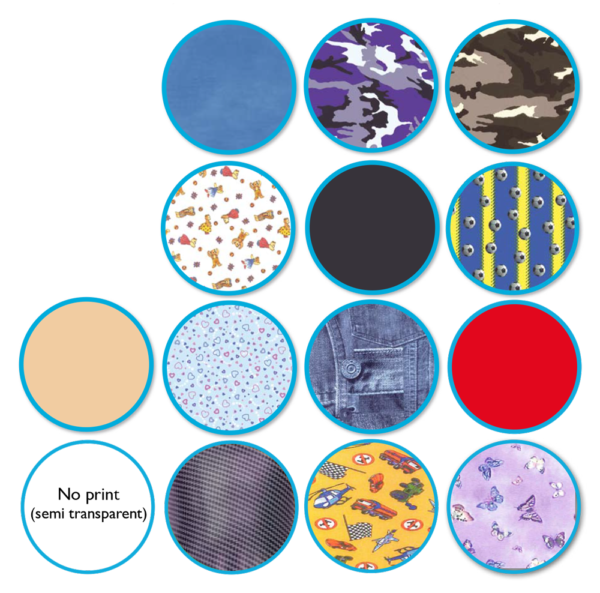 Possibility for addition of (own individually manufactured) insole. The green rubber bands on the detail photo are the feathers that bring the foot to dorsiflexion (toes point upward). Your therapist can easily play with the stress by adding or leaving springs. This is how a good balance can be found between clinical effect and comfort. Daarnaast ontstaat er een afwikkeling van de voet in de standfase waarbij er al heel vroeg sprake is van druk onder de voorvoet (op de tenen lopen). Als gevolg daarvan wordt het onderbeen meer naar achteren geduwd (de belastingslijn loopt dan voor de knie langs) en komt er een flinke extenderende (strekkende) belasting op de knie, die op termijn kan leiden tot hyperextensie (overstrekking) van de knie, ook wel Genu Recurvatum genoemd. Dit kan behoorlijk pijnlijk zijn en leidt tot een progressieve beschadiging van de knie. In the video on this page, you will see the above-mentioned elements of the gait (ie insufficient foot lift, pressure under the forefoot early in the stance phase and overstretching the knee). To prevent this from occurring, sometimes a Dynamic Night Splint is prescribed. 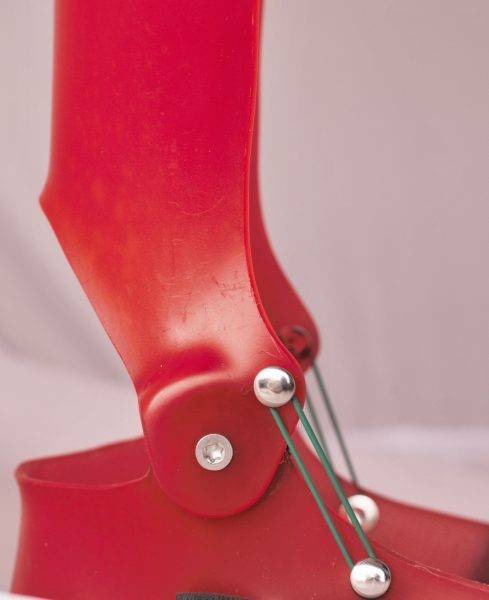 The purpose of this orthosis is to maintain the foot lifter structures (Achilles tendon and calf muscle) for a long time (several hours a night). Eventually they will then slowly stretching up. If the treatment is maintained for a long time, there is almost always a lasting result. For that reason, therapy loyalty is of course very important. Therefore, time is more important than force: you really do not have to torture yourself, but you have to hold on for a long time! How does the Dynamic Night Splint work? Here you see a detailed picture of the hinge and spring direction of the Swift Dynamic Night Splint. The name already says it: This Swift Orthosis is dynamic. On the image to the right you can see the hinges. These hinges are pulled into the model, resulting in a very slim solution. For most people, the cosmetics of a night plint are not so important, but when it’s in the way while laying on your side, comfort is very important. Therefore, it is nice that the Swift Dynamic Night Splint hinges are very slim. 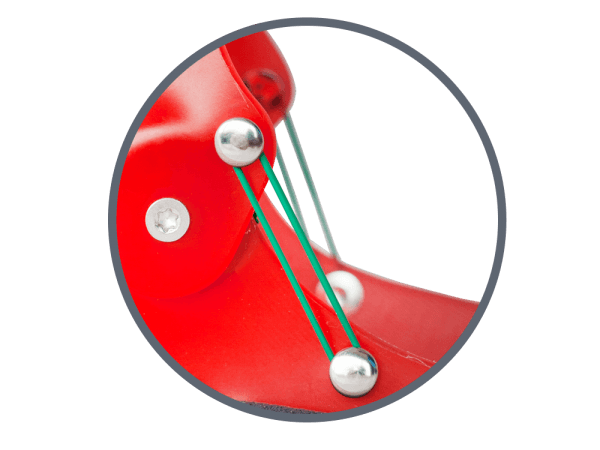 The green rubber elastic elements provide the corrective force of the Swift Dynamic Night Splint. The springs can easily be added and removed. Finding the right tension is important. If we make the tension too high, the orthosis becomes uncomfortable and you will not be able to wear it long. 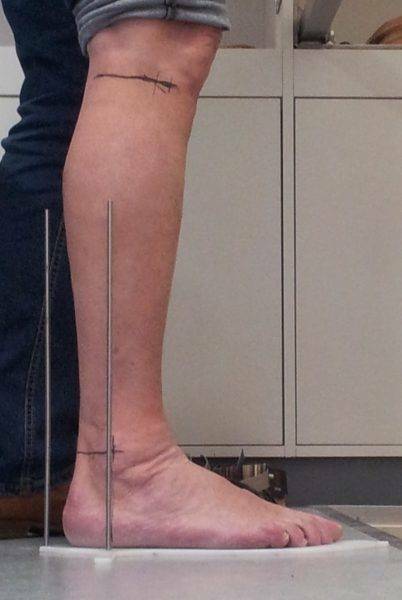 Because permanent correction is mainly due to the long-lasting tension of the internal structures around the ankle, it is important that we do just enough, but not too much.